Dementia is a chronic organic mental disorder; refers to a decline or deterioration in cognitive function such as loss of thinking, memory (predominantly recent memory, especially in early stages), and reasoning skills – to the extent that it disturbs person’s daily life activities. It’s a progressive disorder which gets worse over the time. They deteriorate with their personal care, interpersonal relationships get damaged, and their activities of daily living get poor. Alzheimer’s dementia (accounts to 60% – 80% of cases) is a progressive brain disorder that affects person’s memory, ability to think clearly and communicate with others. People with dementia may become uncooperative and resistant to daily activities. The main symptoms of dementia are memory impairment, reduced thinking, ability to carry out everyday activities such as brushing teeth, bathing, etc. 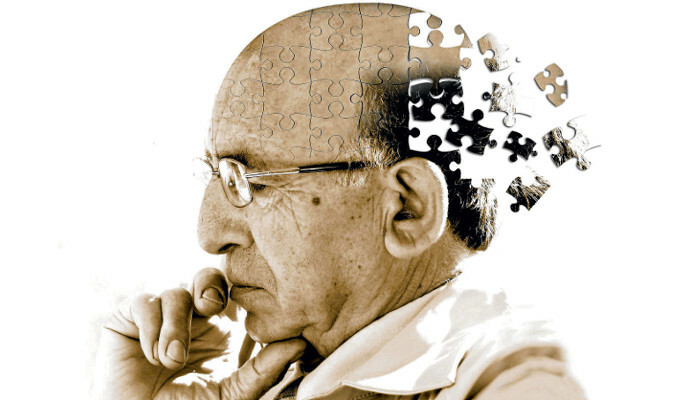 People with dementia may have difficulty in solving problems, making decisions, abstract reasoning, in learning new things and may become disoriented towards time, place and person in later stages. People with dementia may have difficulty in controlling their emotions. They have a marked variation in emotional expressions which may be confusing to understand sometimes. People with dementia when they are confronted or made to do tasks which are beyond their all means of capacity, they lose their mind and control all of a sudden. People with dementia develop thought abnormalities; their thoughts get damaged and sometimes they get engaged in irrelevant/ repeated talks. They develop suspiciousness on known and imaginary people called as “Delusions”. They sometimes tend to get confused with date, time, place and persons too, which may be gradually seen deteriorating. Dementia is more common among aging people. The course of dementia is usually progressive (gradually spreads and the person’s symptoms worsen over time), stationary or reversible. The stages of dementia will gradually be visible to the patient himself and to others. Their sleep-wake cycle usually is normal. Hallucinations may occur; i.e they see, hear and feel things without stimuli. As the above-mentioned symptoms, if they are present for at least 6 months of duration on a continuum, a person can be said to have dementia. Dementia is caused due to brain cells that stop to function or function inappropriately and eventually die. Dementia may also occur due to disturbances in other body systems like untreated hypertension, hypothyroidism, that result in neuronal dysfunction and these dementias are reversible if underlying conditions are treated such as thiamine deficiency, chronic alcoholism, certain tumors or infections of the brain and blood clots. A majority of cases are due to common causes such as Alzheimer’s disease. People also confuse the other symptoms as dementia. Those who undergo a normal aging process do get memory problems which are common in geriatric patients. In the case of dementia, a strong proof can be seen in the severity when there is a deterioration of occupational and/or social functioning too. The other symptoms are that elderly people usually experience loneliness and feel depressed. They have symptoms of dementia as well, but they both can be differentiated through treatment. Depressive pseudodementia is far more easily treatable than dementia. The major confusion is between Delirium (explanation in the upcoming blog) and Dementia where the symptoms overlap. Basically, the diagnostic tests are of great significance in inspecting the cause of any illness/ disorder and rule out the other symptoms (Differential Diagnosis). The same applies for dementia as well. Tests like blood count, blood glucose, X-ray, MRI, neuropsychological tests and other investigations to be included. Keeping them away from the manipulative environment and stressful events and focusing on keeping them calm. Their diet and nutrition to be taken care of. Moral and emotional support from the family is the pillar to them. Brief hospitalization will be needed in case of confusion and outraged symptoms. Practicing mindfulness (check our previous blog) will help them a great deal. There are many types of dementia which has minimal differences in each. Considering all the above said, if it is seen in any of your loved ones, do get a clinical assistance immediately. Earlier the screening, further deterioration can be prevented. Elders are the lighthouse of a family and a treasure of future generation. Care for them! Protect them! !